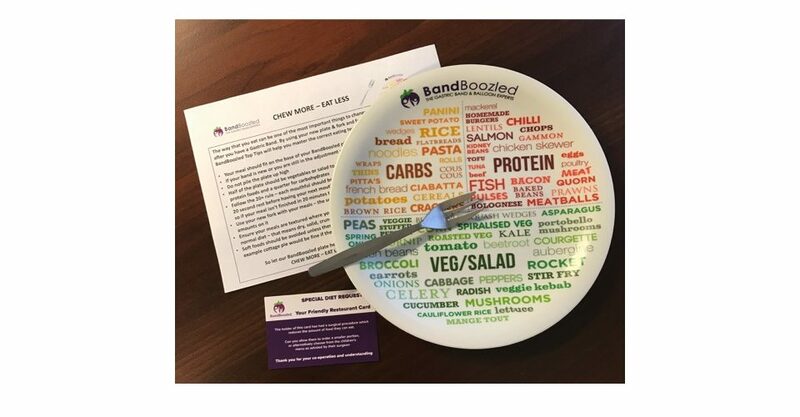 Why not try our special BandBoozled plate - perfectly portioned for gastric band and balloon meals. 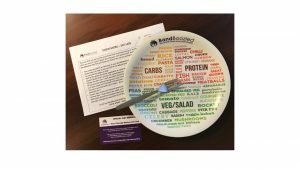 To help you achieve balanced meals simply follow the portion guidelines on the plate for your carbs, protein and veg/ salad sections of your meal. Getting the balance right will ensure you are eating the different food groups in the correct quantities and will help with your weight loss. If your gastric band isn’t optimally adjusted yet you can use the rim of the plate, if it is then keep your meal to within the rim for a smaller meal.